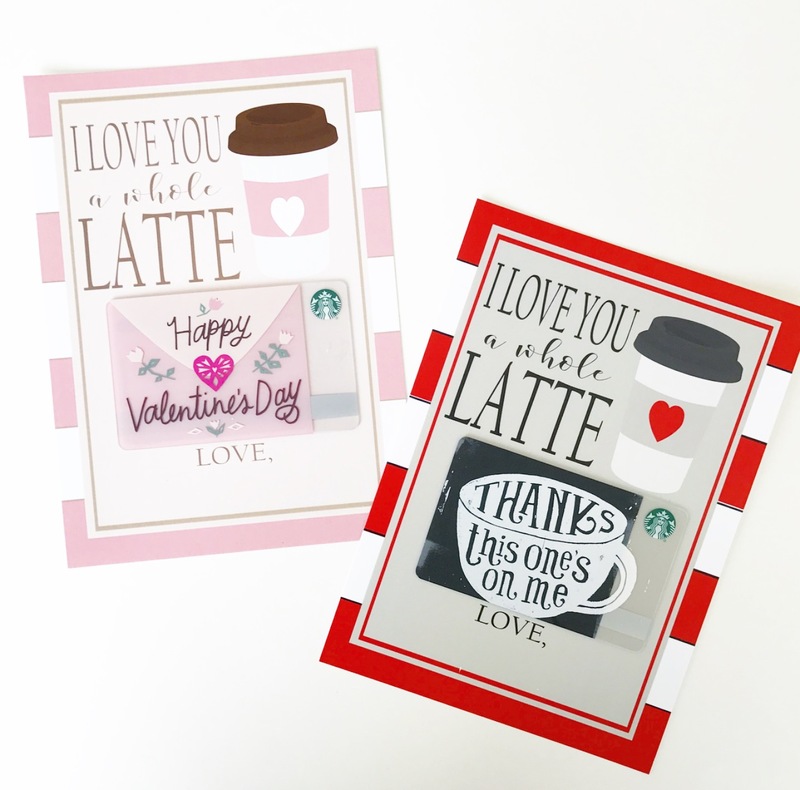 Valentine’s Day is just around the corner, so it’s time to spread a little love with these Valentine’s Day printables! 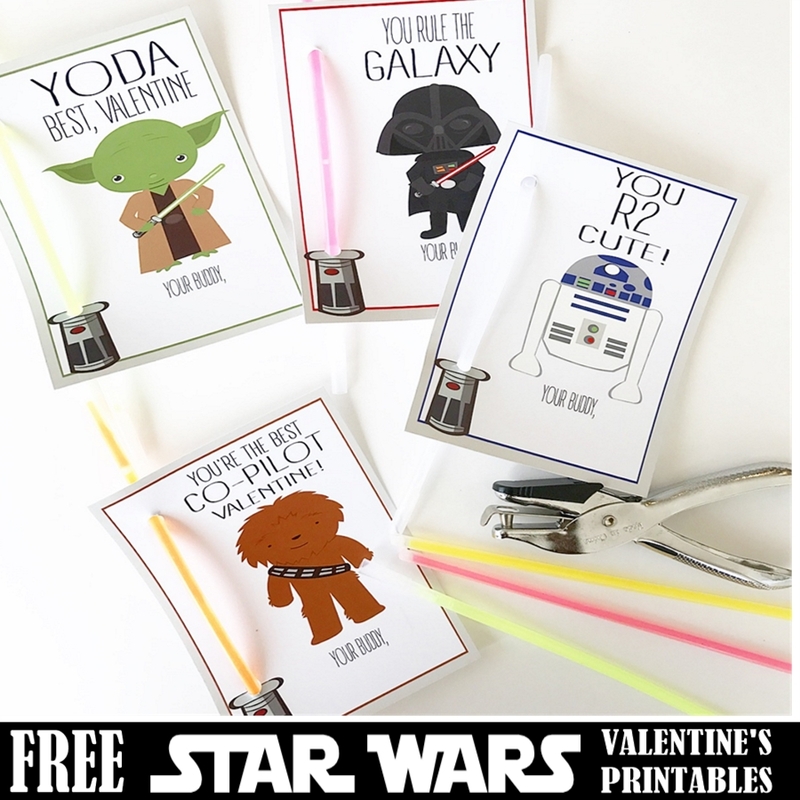 My Logan requested that I make Star Wars Valentines this year, so I am sharing his as a free printable along with a tutorial for “making” the light sabers….super easy and fun for your little Jedi! 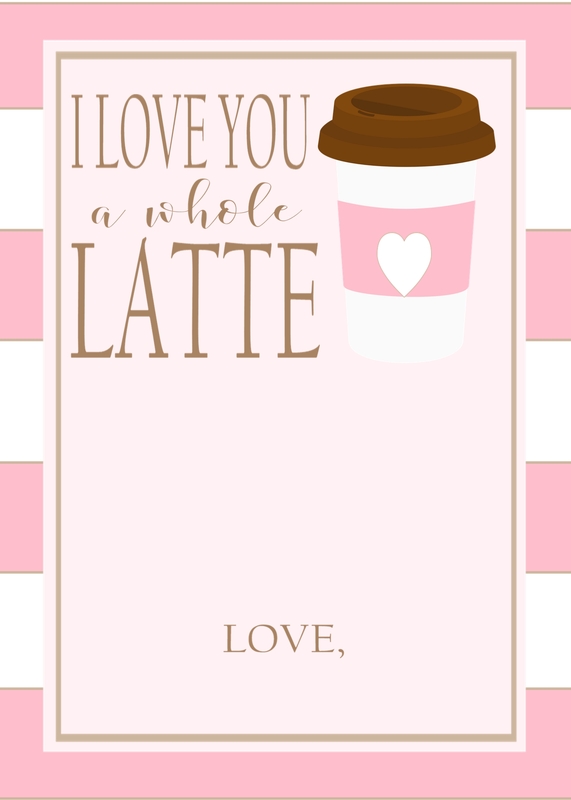 I also included a fun gift card printable that would be perfect for girlfriends, neighbors, teachers or whoever you’d like to make feel a little extra special this Valentine’s Day! 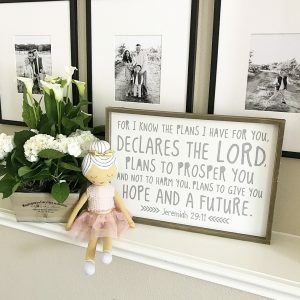 I’ll be gifting those to Logan’s teachers because anyone that can handle a room full of four year olds with the enthusiasm and patience that they do deserves ALL the love! So let’s get to it! Glow Stick Bracelets-I bought my package of 20 at the dollar store for $1. You can also get them on Amazon Prime here. 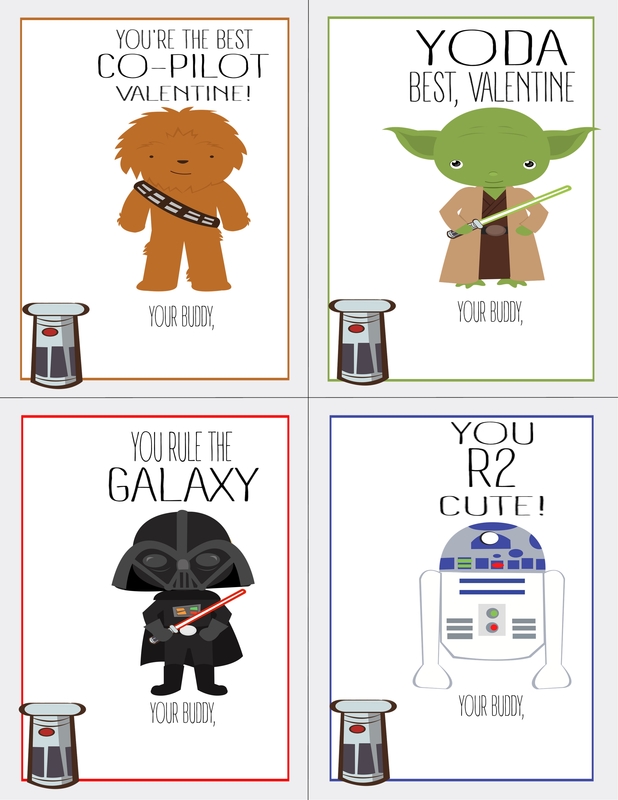 Print Valentine’s on heavy white cardstock. There are 4 Valentine’s per page. Files are below. 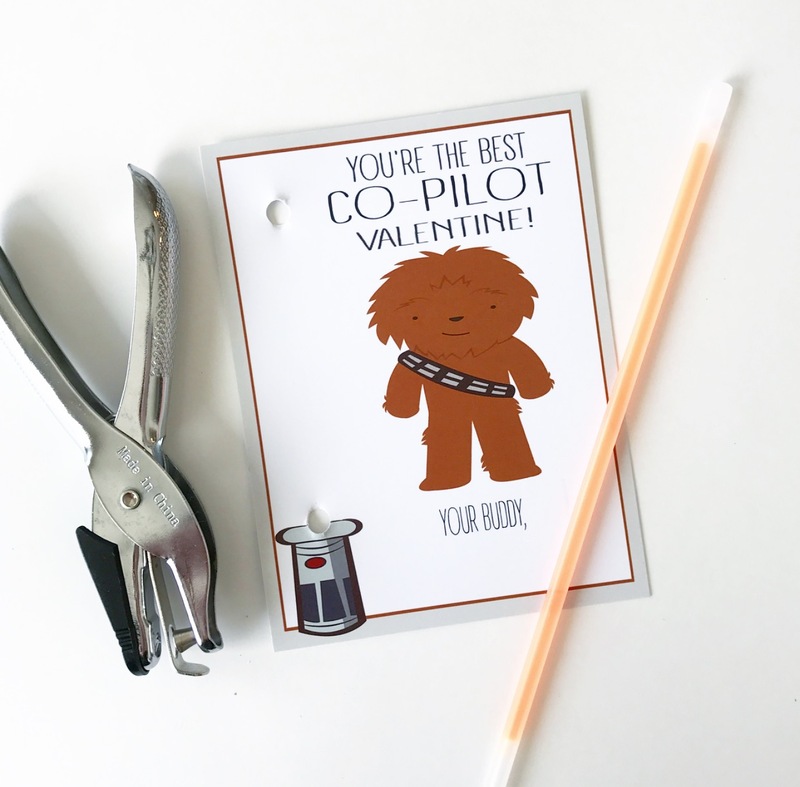 Cut Valentine’s. Punch a hole at the top of the base of the light saber and another hole toward the top like this. 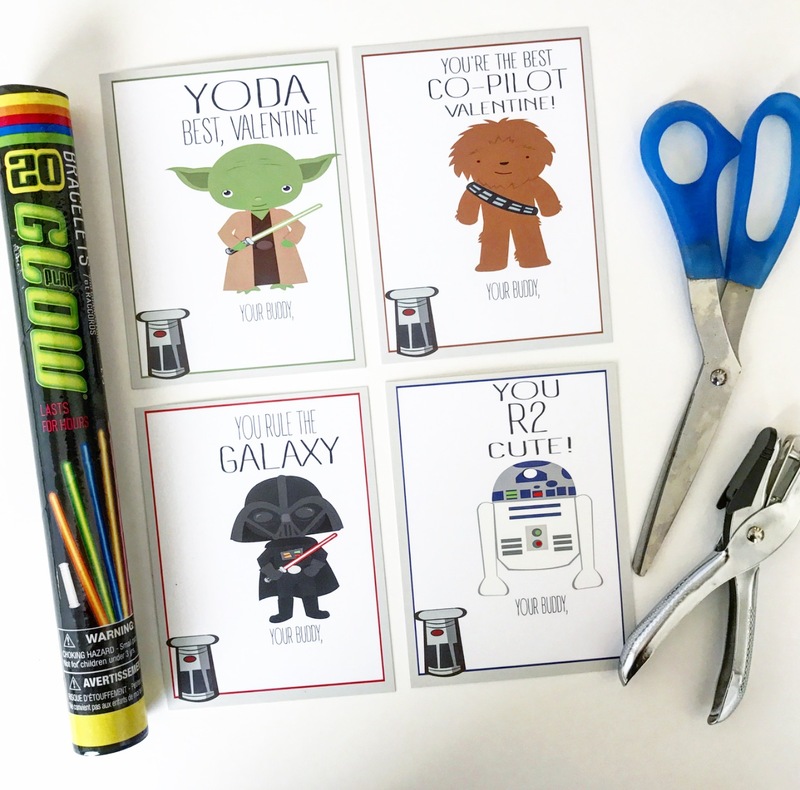 Thread glow stick (light sabers) though the holes and have your little sign his/her name! Quick and easy! Hope your Jedi loves sharing these with his/her buddies! 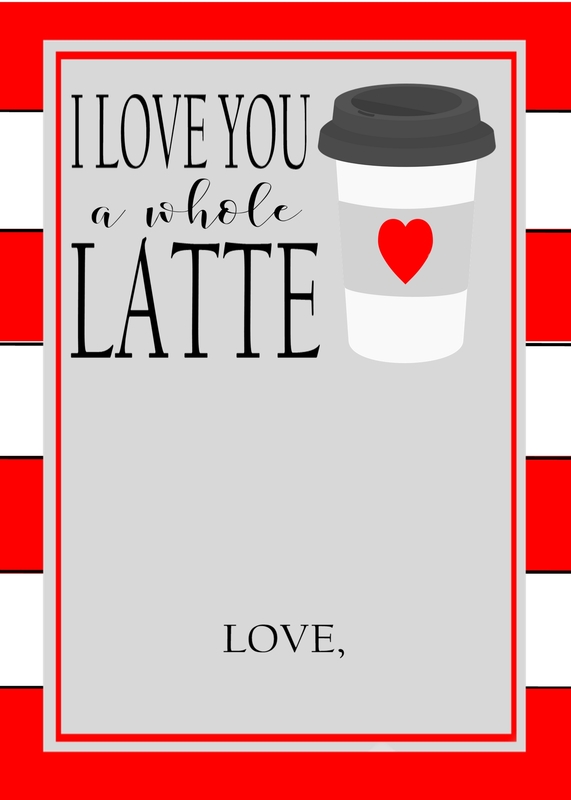 This printable is a 5×7 and has a space for a Starbuck’s or any gift card you’d like to gift! 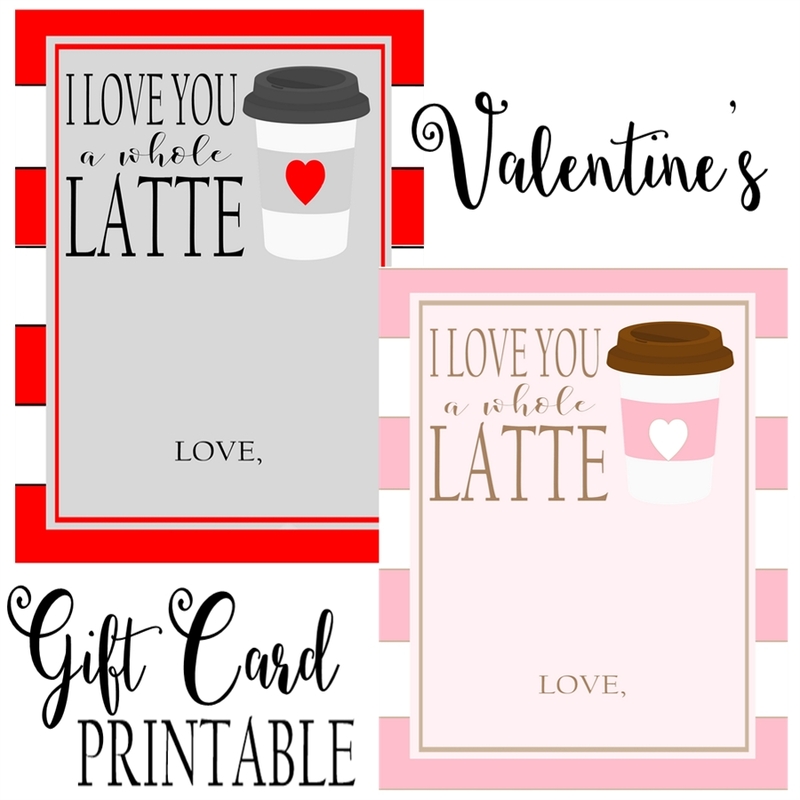 Simply print on cardstock and attach gift card with tape. A girls’ night is always a fun way to celebrate Valentine’s Day! 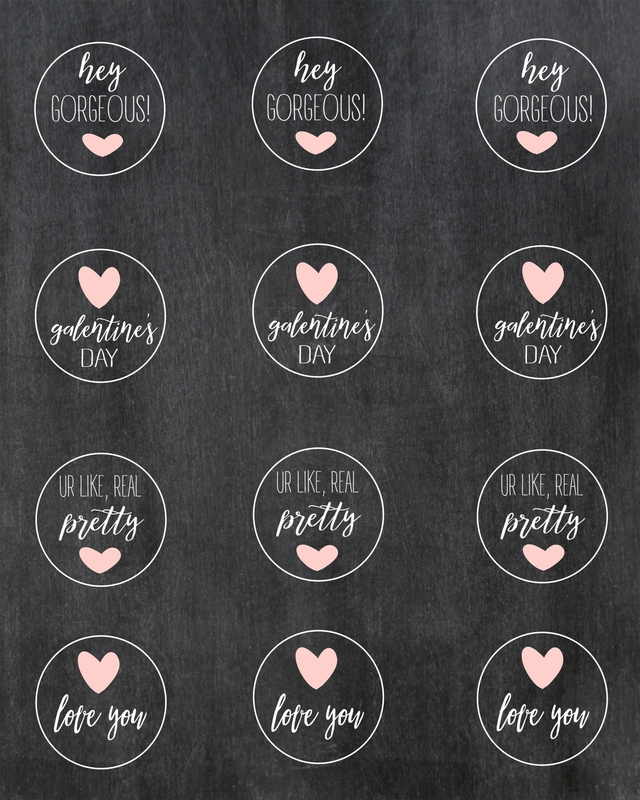 These were made to be cupcake toppers, but they could also be cut out for gift tags or table confetti! 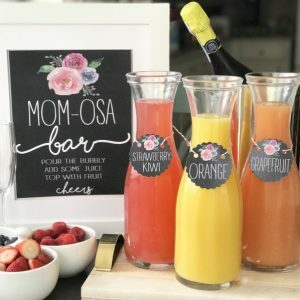 And this sign would be perfect framed and set out with your snacks! 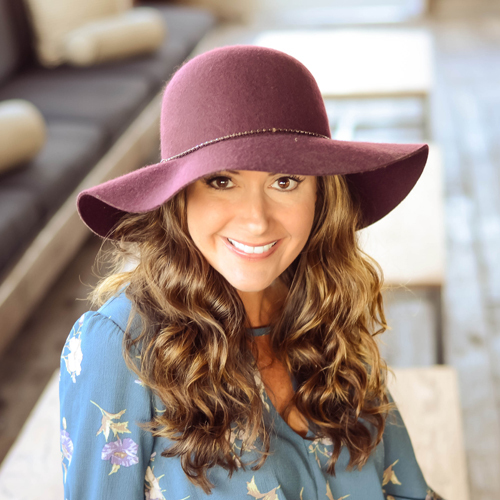 Hope you feel the love this Valentine’s Day and take an extra minute to show love to those that mean the most! 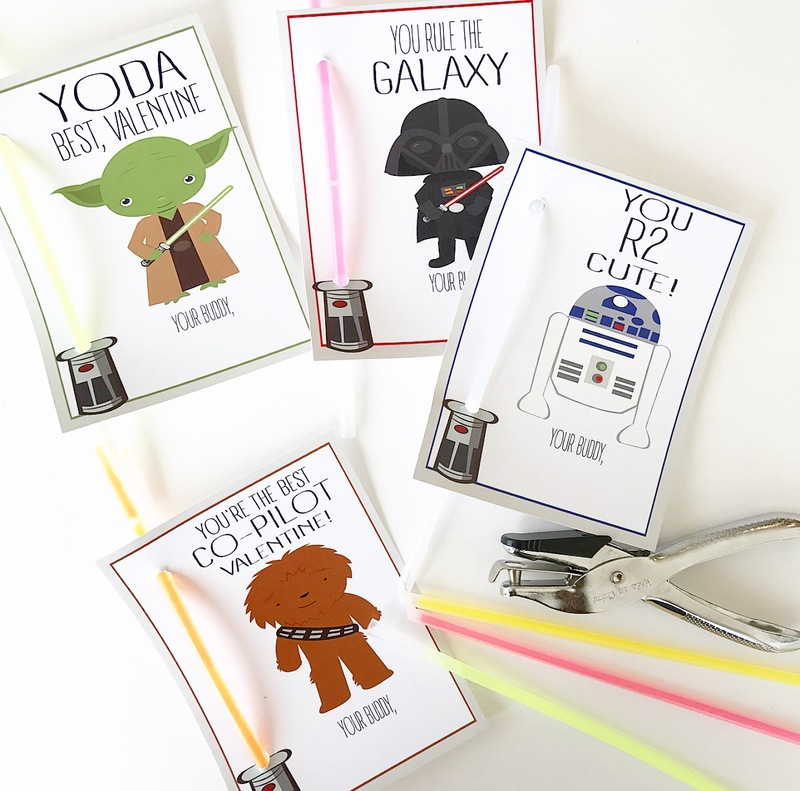 So excited about these Valentines! You are saving me so much time and energy!! 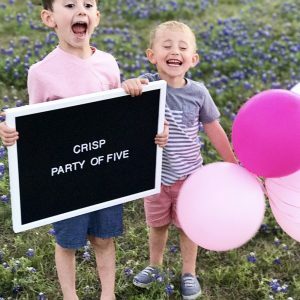 They are so cute!!!!! My8 year old son is so excited too!! Yay!! That makes me so happy! !